Indigo, yellows and white, a perfect burst of color. 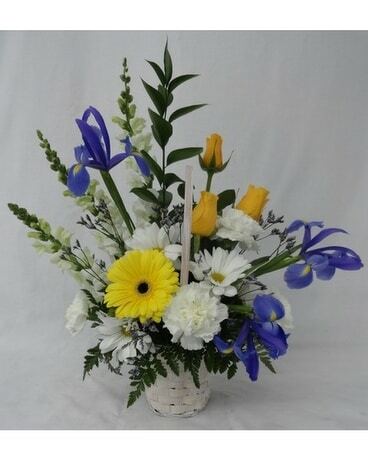 Iris's, roses carnations and daisies add character to the simplicity of the elegant white wicker basket. Perfect for adding beauty to any occasion.